Your health is worth more than your cell phone. For about the cost of an average cell phone bill, you can have discounted rates for regular visits, special pricing on lab tests, and more. You have high deductible/high copay insurance. By combining an affordable insurance plan that has a high deductible and copay with a membership to Julian Healthcare, you can lower your overall insurance costs. Small businesses that can’t afford to provide full insurance for their employees might consider offering memberships as a benefit instead, leading to a healthier workforce and saving healthcare costs in the long run. You want more than the typical healthcare experience. Direct patient care memberships are becoming increasingly popular around the nation, primarily because of the extended level of care providers can offer through membership. Rather than just addressing one issue in an appointment or two, having a membership with Julian Healthcare allows you to have ongoing conversations with us —in person, on the phone, or via video chat—about your overall health and well-being. You understand the value of functional medicine. 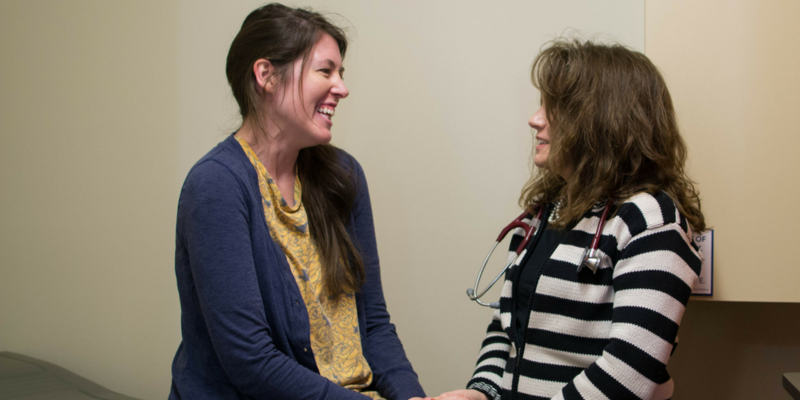 As the only certified functional medicine practitioner between Fishers, Indiana, and Dayton, Ohio, Susan has a unique perspective on wellness that is becoming increasingly in-demand. Locking in a membership now gives you renewal opportunities in the future. You need motivation to get past health issues that are holding you back. The accountability and accessibility available through a membership will give you the tools you need to achieve the health breakthroughs you’ve been striving for. With committed members, Susan can take a comprehensive approach to your overall wellness and guide you toward living your healthiest life. If you’re considering a membership, take a moment to complete the application available on our membership page. This application will determine if you’re a good fit for the Julian Healthcare membership program. For more questions, reach out to us by phone at 765-530-8008.